Put aside each cooked batch. 3. Clean the wok and sauté crushed garlic until fragrant, but do not fry it. 4. Add the lemon juice and cayenne pepper to the cooked garlic and mix well. 5. 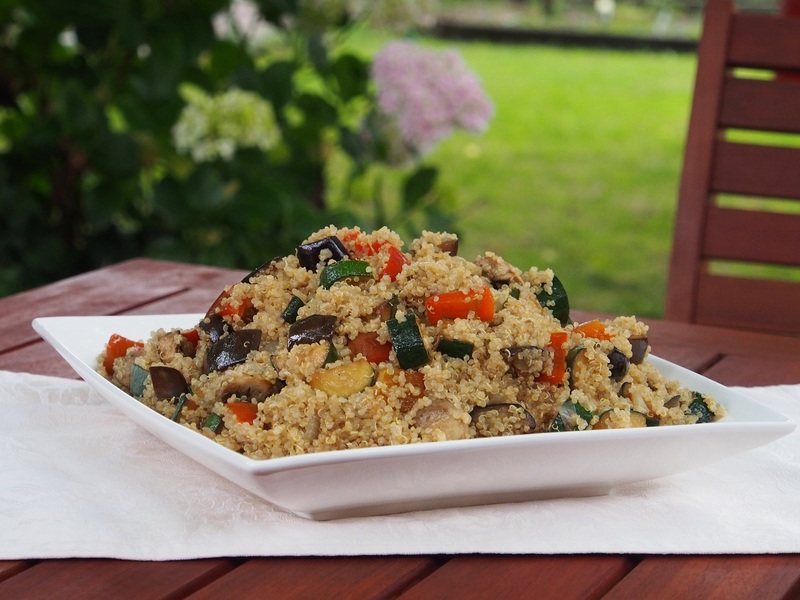 Immediately combine all ingredients in the wok including quinoa and cooked vegetables and heat through. A delicious recipe, very tasty and healthy. It is perfect for lunch or dinner, and makes a very good vegetarian dish. I have enjoyed it. Thanks for sharing the recipe.